Are you writing a book about your business? Contact us to learn about our business printing services. Here are some tips from 48 Hour Books to help you through the process. • What is my motivation for this book or business publication? • Who do I want to reach? • Why is this information important to share? When writing a business book, you are positioning yourself as an expert in your field, improving your stature in your chosen industry. 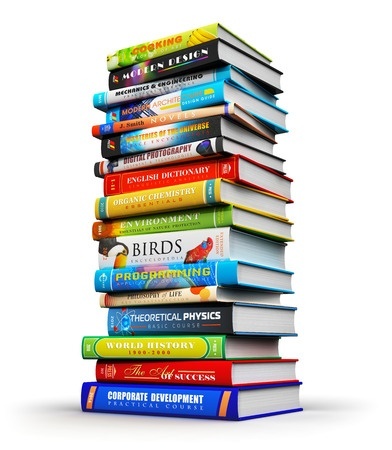 Many authors have used their business books successfully as marketing tools. Whether you are selling them at a conference, featuring them on a personal website, or handing them out in place of business cards, your book can serve as the best way to market yourself, your services, and your business. There should be a specific tone to your writing style that the reader can easily pick up on. There are going to be terms and phrases related to your business that the reader might not understand, so it helps to use conversational language when your writing allows for it. This will put your reader at ease when trying to decipher the content, and it establishes a relationship with the reader. You need to position yourself as an expert and earn their trust. Your readers want advice, expertise, and skills they can take with them. Organization is important when setting up your book. You want the content to be easily found using a Table of Contents, and if needed, an Index. This will allow your reader to reference specific parts. They will be using your book as a guide, so your information should be structured in a clear, concise manner. The way you organize it is ultimately up to you; you can organize by chapters, sections, phases, levels, etc. This will depend on your content. It is important to have a clear vision of how you want your book to be set up. You should first determine the size and type of binding. You can type your book directly into the template and set it up any way you choose. Be sure to choose the right page size, and when you're done formatting, simply convert the file to PDF format, and the resulting PDF file will be ready to upload to us. You'll upload your files directly to your order, so you'll need to place an order first on our website. If you get stuck or have any questions, remember, we're just a phone call away ... 800-231-0521. Perfect binding is a popular option for most business books, but coil binding can also be appropriate depending on your content. If you have a section for notes or activities, then you may want to have perforated pages that can be removed. Perfect Bound books are great for most orders because they keep the cost down, but still hold up very well over time. At 48 Hr Books, our STANDARD turnaround for Perfect Bound books is just 2 business days. Nobody else in the world offers that as their standard turn-around. And if that's still not quite fast enough for you, we even have Rush and SuperRush options available. You might also choose Coil Binding, especially if you have worksheets or activity pages that you want your readers to write on. And of course, Hard Cover (case binding) is also available. Both Coil and Hard Cover take 5 days to produce. The cover of your book is what people are going to see first, so make it eye-catching! Whether you have a fully illustrated cover or solely text, there are multiple ways you can make your book stand out. For something more attention grabbing, we offer Foil Stamping, Dust Jackets, and Diamond 3D Covers. The cover is the first thing the reader sees, so you want to make sure that it catches their attention by choosing an interesting graphic or font. At 48 Hr Books, all of our covers are printed in full-color at no extra charge, so liven your cover up with some color! We recommend your images be at least 300 dpi (dots per inch). This will ensure your graphics look crisp and clear. Come up with a cover that is not only eye-catching, but also conveys the purpose of your book quickly and easily. A potential buyer may only have a couple of seconds to glance at your cover ... make sure he or she can tell immediately what your book offers. For business books, it is important to include some testimonials on the back of your book from people who have read it. This will demonstrate your book's effectiveness, enhance your credibility and prompt more people to buy it because they know that others have found it helpful. Of course, if this is your first printing, it may be tough to get these testimonials, but you can easily add them to later editions. If you have InDesign, you can use one of our Cover Templates to help you design your own cover. Put it together the way you want it, export it to a PDF (with fonts embedded, 1/8” bleed, and high-res graphics, and upload the resulting PDF to your order. If you need help constructing your cover, 48 Hour Books has a Create-a-Cover option for $100. You can also contact us for information on how to print business books. With this option, you can choose from a variety of layouts, pick a color combination, and we’ll do the rest. You can upload your artwork, photography, and any special instructions directly to your order, and our prepress technicians will assemble your cover using these elements. When you receive your cover proof, if you want us to make minor changes, there’s no extra charge. You’ll end up with a professional-looking cover, and at only $100, it’s a great deal. It’s a one-time fee, so you won’t pay it again on reprint orders, unless you decide to redesign the cover again.